All Contributors and Guests need to register via the registration page. The conference will mainly take place at Utrecht University, City Centre, Drift 21 in the lecture hall, room 0.32 on the ground floor. The entrance to the conference venue is via Utrecht University Library, Drift 27. The nearest bus stop is “Janskerkhof”. The programme on Thursday, 31 August afternoon / evening will take place as Parnassos Cultural Centre. Parnassos is located on Kruisstraat 201, 5 minutes away from the main conference location. The nearest bus stop is “Stadschouwburg”. The main venues for the conference, coffee breaks, rest rooms and presentations are accessible without stairs. Some rooms for workshops and performances during the conference fair may only be accessible by stairs and cannot be reached by elevator. Please indicate in your registration form if you have special requirements for accessing the conference so we can schedule the programme accordingly. 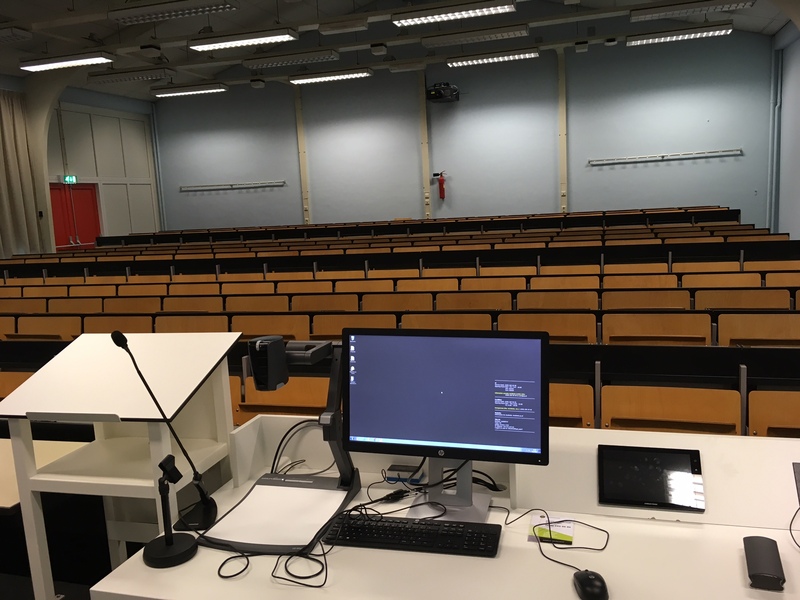 Utrecht University does not own an induction loop; please let us know by 30 June if you wish to use this facility so we can arrange for it to be set up. We will use microphones for most parts of the conference, but some artistic demonstrations may be held without microphones. Utrecht University City Center does not provide parking lots for people with reduced mobility. There is public parking 250m from the conference venue. Please inform us if we can do something to make the conference more accessible to you! Parnassos Cultural Centre is accessible without stairs and has wheelchair accessible toilets. At the moment, we do not know if we will use microphones. Parnassos does not own an induction loop, so please let us know by 30 June if you need this facility so we can arrange for it to be set up. There is a garage on the opposite street. Phoenix Paper Theatre is only accessible by stairs. The guided tour will not use microphones. WLAN is available throughout the premises. You can either use the EDUROAM network or connect yourself to UU visitor network without prior registration. The computers at Utrecht University run on Windows 7 and have the MS Office Suite 2010 installed. 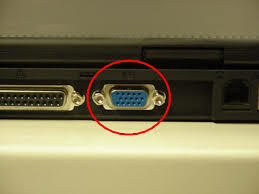 You can either bring your presentation on a USB-Stick or connect your laptop to the beamer. If you use a Mac, please do not forget the adapter! 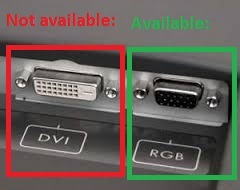 The connection to the beamer is via a VGA/RGB-cable (see photos), thus not via HDMI or DVI. The computers also have sound. If you present on Thursday afternoon at Parnassos Cultural center, we have a beamer and a laptop (PC) available. This beamer also has the “old” VGA/RGB connection. Please bring a suitable adapter if you wish to use your own computer (MAC) for presentation. All posters will be presented during the conference fair on Wednesday, 30 August (17:00-20:00). We have organized poster standards for the poster presentation. The maximum format that these stands can accommodate is A1 landscape/horizontal or A0 portrait/vertical. The demonstrations will be presented during the conference fair on Wednesday, 30 August (17:00-20:00). If you need anything that you did not specify in the registration form, please contact us. If you need special technical equipment, additional time for setting things up, assistance before or during the performance or anything else, please let us know by 1 August 2017. Taking up the idea of our colleague, we ask you to bring your own conference badge. In the spirit of creative re-use, we suggest to use old materials again. Needless to say, you are free to let your creativity go loose in the design of your badge. We will also provide badges for those who could not bring one. The tap water of Utrecht is of very good quality. Bring your own water bottle and reduce plastic waste and C02-emissions for the transportation of bottled water. The production of meat consumes more resources (water, energy, land) than the production of vegetables and grains (see, for example, this blogpost). University rector Bert van der Zwaan started a lively discussion with his idea for a vegetarian cantine. We will opt for sustainable and vegetarian lunches as standard versions. If you have special dietary requirements, please indicate them in the registration form. We are planning to publish a selection of the conference contributions in an edited volume. We will inform you about this at the conference.